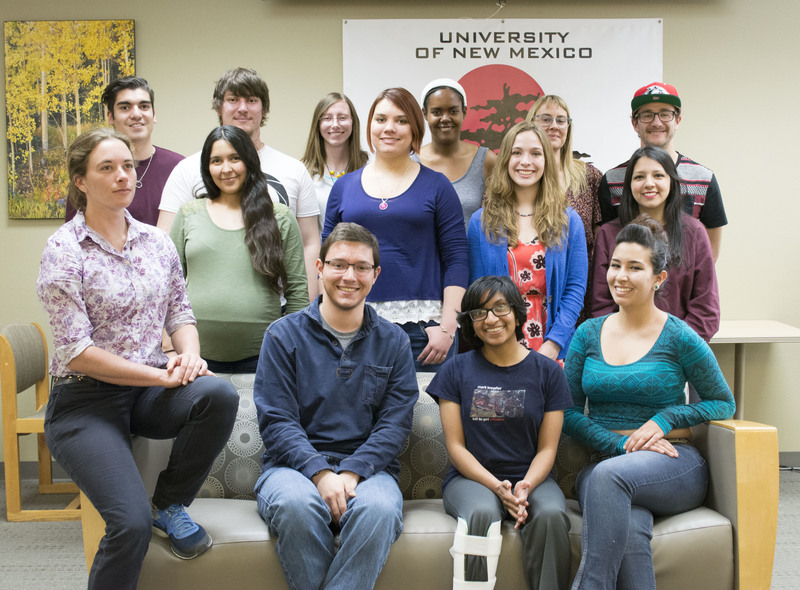 The Scribendi staff is composed of undergraduate honors students enrolled in the University of New Mexico (UNM) Honors College. 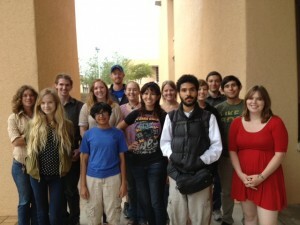 These students are supervised by a faculty advisor, who is a tenured professor in the program. 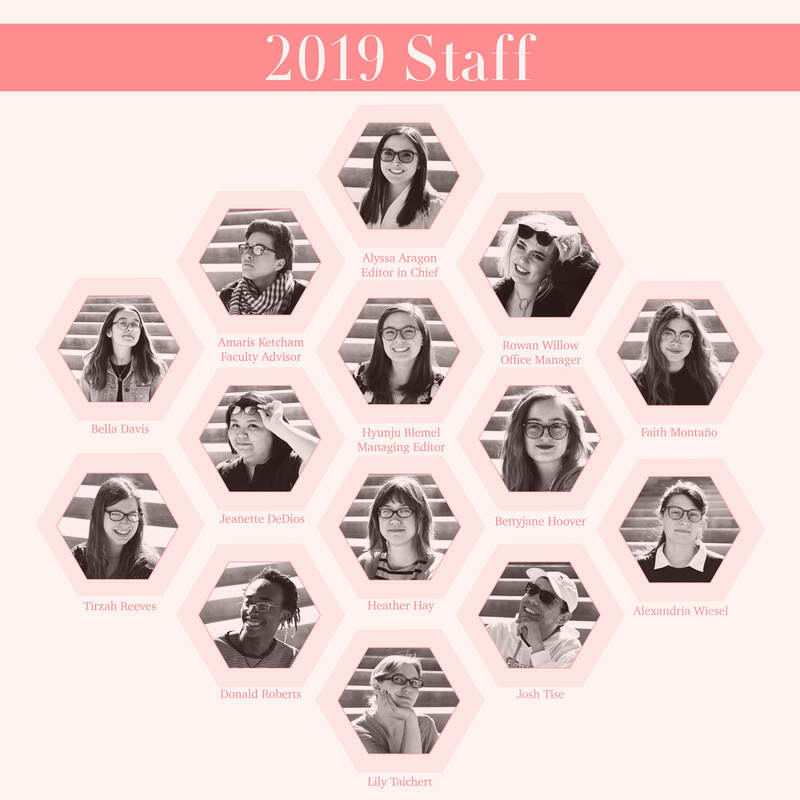 The staff is in charge of every decision and duty in the publication process, including seeking submissions, selecting works for publication, proofreading, copyediting, designing pages, typesetting, laying out text, publicizing the magazine, and raising funds. 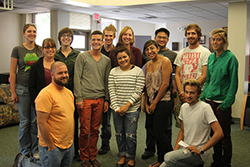 Staff members represent all majors, including physics and math as well as English and fine arts. Students must apply and interview to join the Scribendi staff, which is offered as a two-semester, 300- and 400-level class through the University of New Mexico (UNM) Honors College. The magazine’s editor in chief and managing editor are also undergraduate students who have applied and interviewed for their positions. 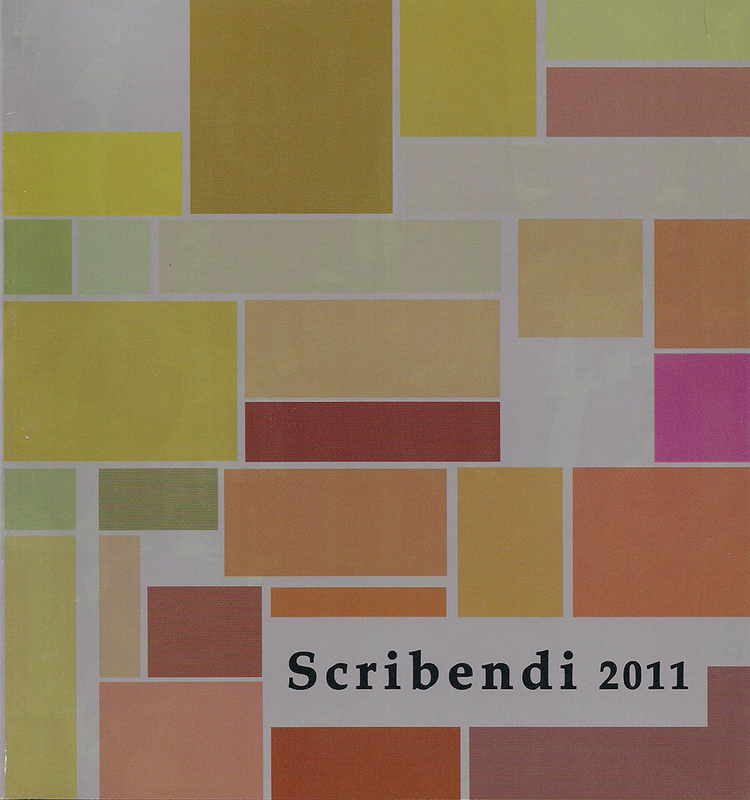 Editors in chief and managing editors generally have worked on the Scribendi staff in previous years. 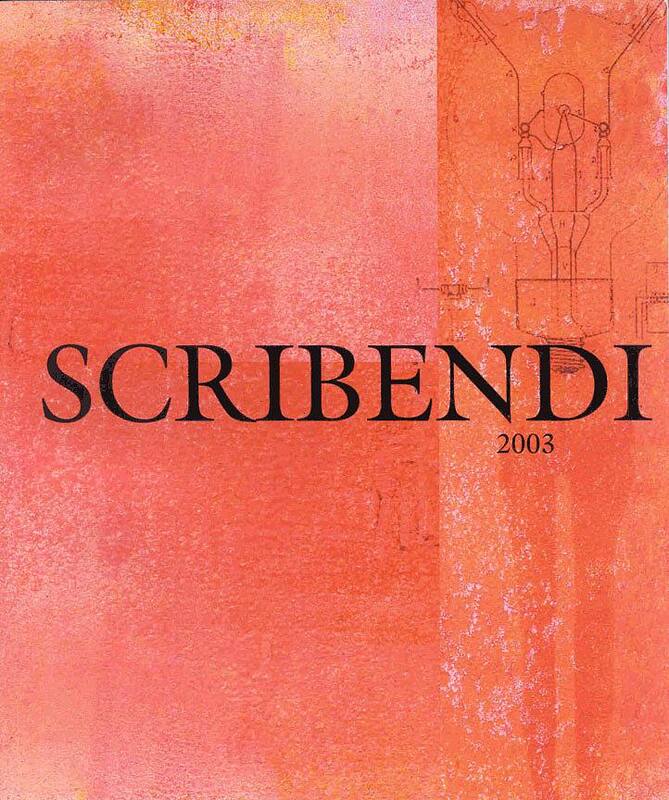 Students are expected to work on Scribendi projects for about six hours per week outside of class time to keep the magazine running smoothly. 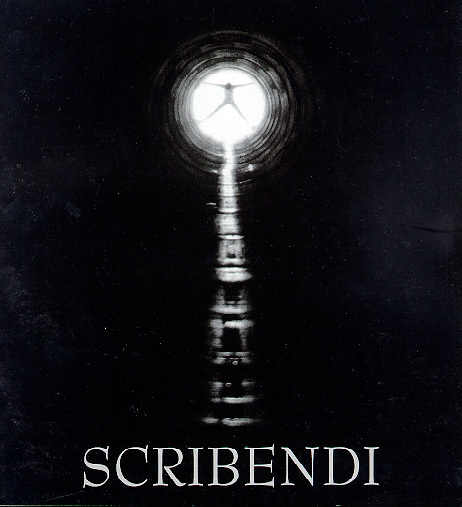 Staff members, including the editor in chief and managing editor, are not paid for being a part of Scribendi, but they receive two semesters worth (six hours) of college credit for their work. If you are interested in becoming a staff member, check out this page. 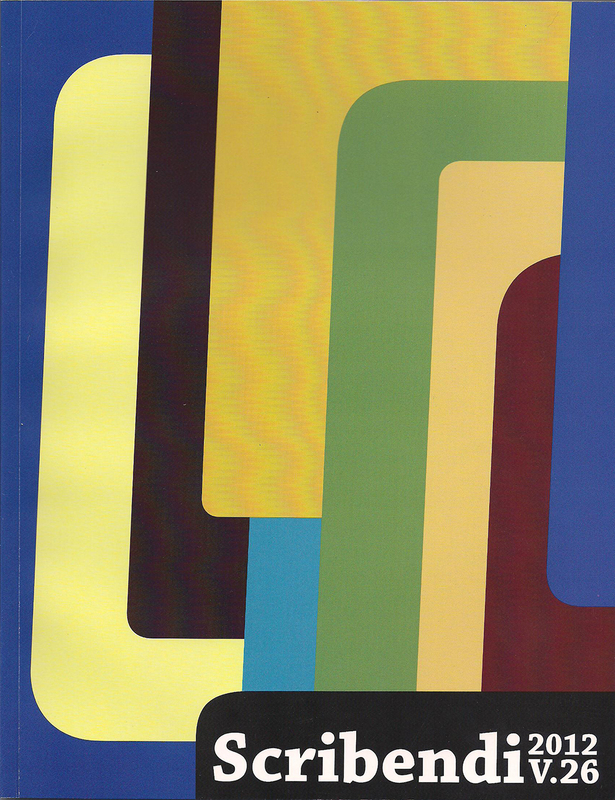 Historical Facts: This is the second year we used a Pantone color. This is the first year we participated in the Adobe Ambassador Program. 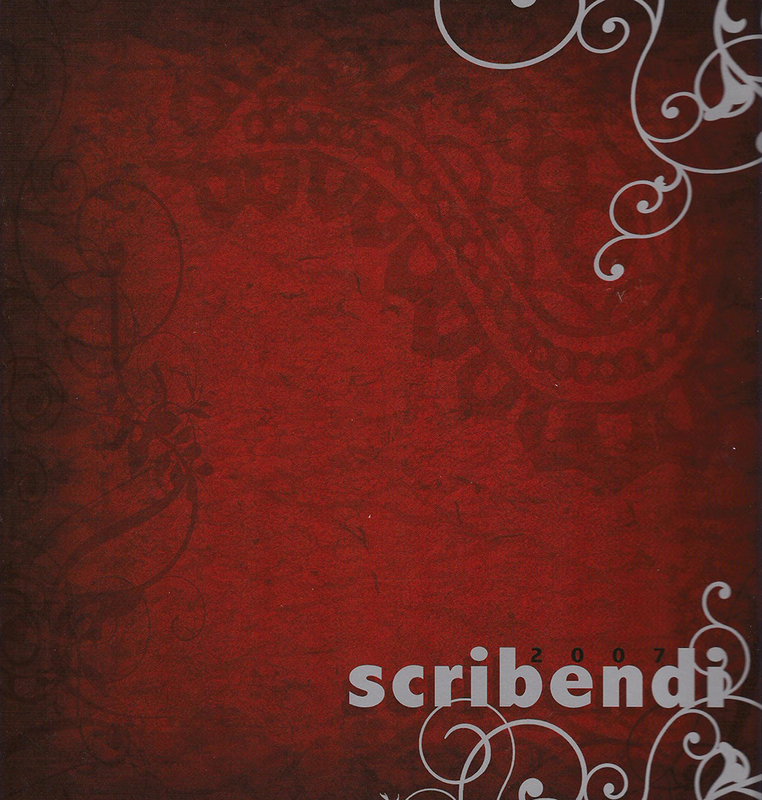 Also we haven’t had a submission make the cover since 2002 and we haven’t used uncoated paper since 2008. 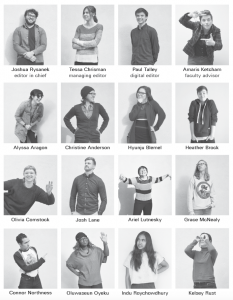 This is the first year to include staff biographies and to highlight the contributor’s state in the back matter. Historical Facts: This was the second year that Scribendi had an exchange student on staff, and the first year it had two. 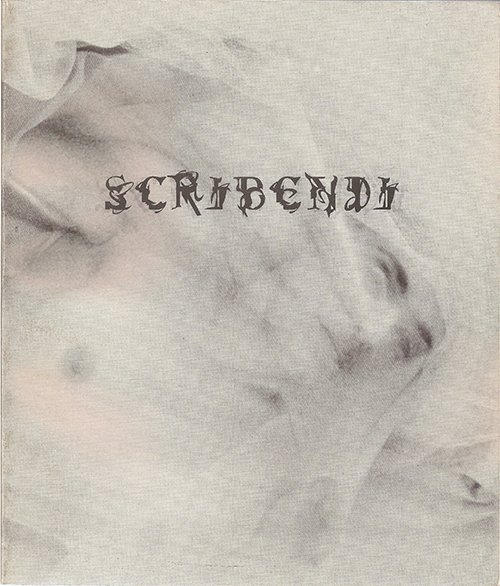 It was also the first year that the magazine cover featured French flaps, which are extensions of the cover that are folded in, similar to the dust jacket on a hardcover book. 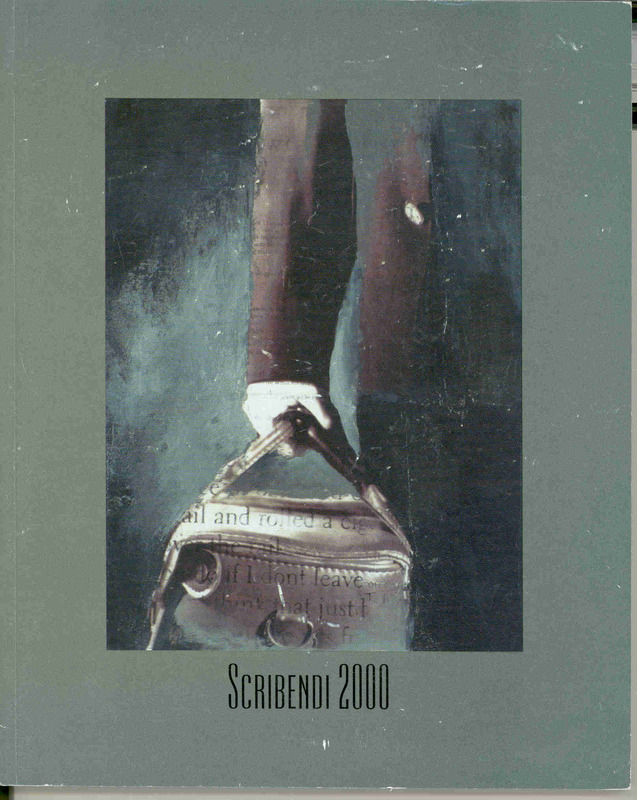 Historical Facts: This was the first year that Scribendi hosted an exchange student! 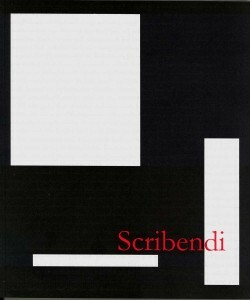 Historical Facts: Scribendi turned 30! Because of this, we also hosted the Honors Alumni Homecoming—what a great party! 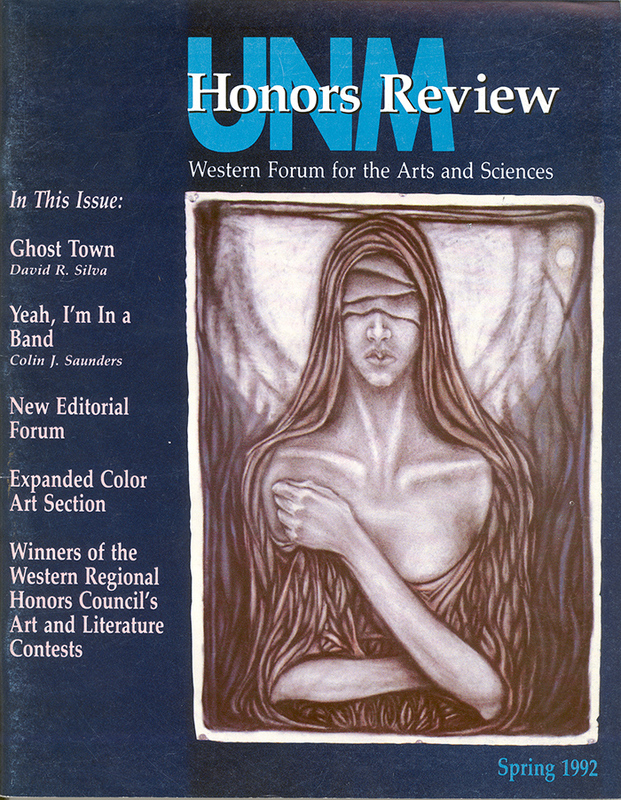 Historical Facts: Introduction of the Open Media Staff Choice Award, and the first time a website has been published in Open Media. Historical Facts: First time something other than film and music published in Open Media. Historical Facts: Amaris Ketcham, the first student staff member to serve in Scribendi for four years, returned as the Scribendi Faculty Advisor and Professor; Scribendi won the 2013 National Pacemaker Award. Historical Facts: First time a former staff member returned as a teaching fellow. 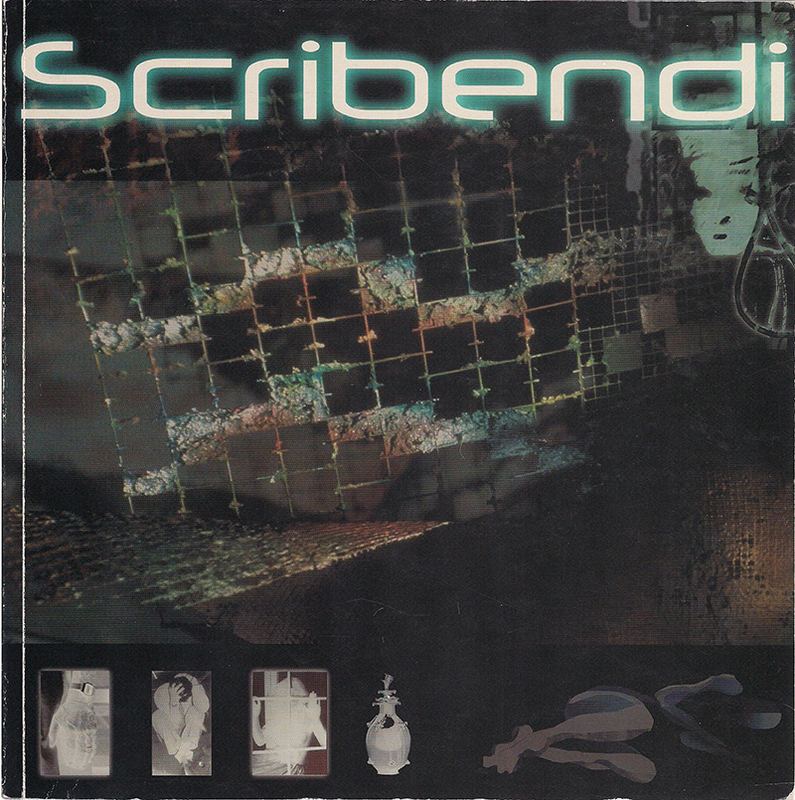 Historical Facts: First time Scribendi included Film and Music as categories. 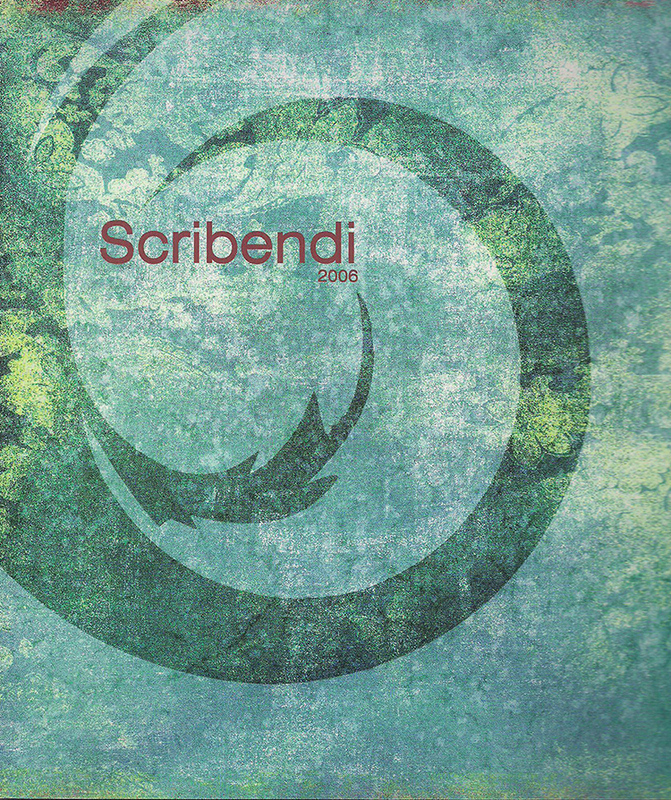 Historical Facts: First time Scribendi had a Marketing Director. 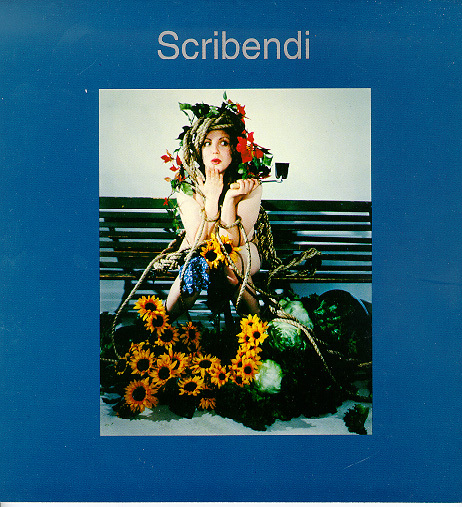 Historical Facts: First time Scribendi had the positions of Editor in Chief and Managing Editor; first time the majority of the staff was men; first time a man served alone in an editorial position. 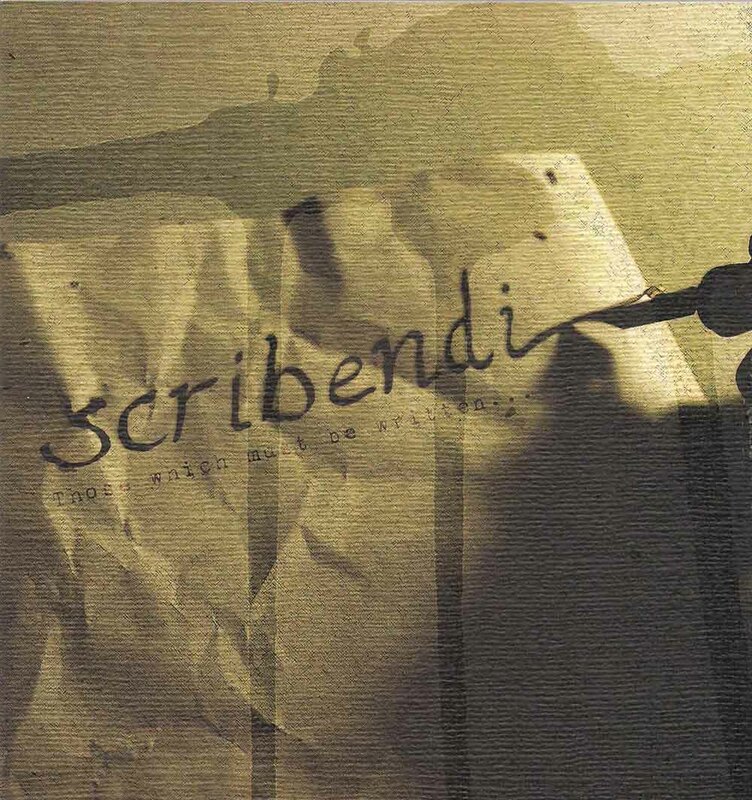 Historical Facts: First Scribendi cover art contest. Kathryn Collison served as Faculty Advisor while Dr. Donovan was on sabbatical. Historical Facts: Last year staff member Amaris Ketcham served Scribendi, after having been longest-serving staff member for four consecutive years. 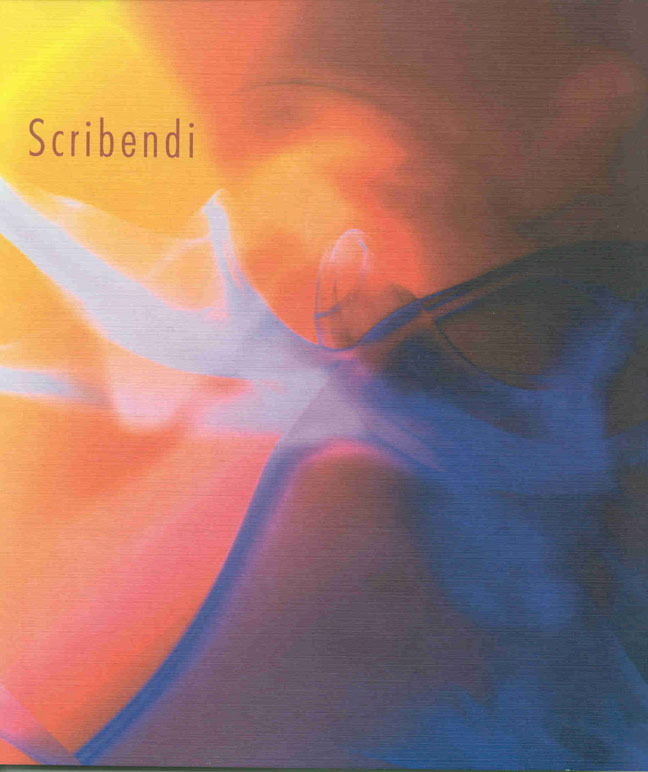 Scribendi began using Adobe InDesign this year. Historical Facts: Only year with two Assistant Editors. 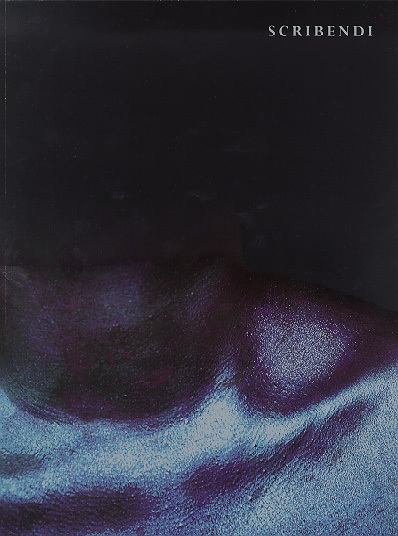 This issue won the 2006 National Magazine Pacemaker Award. Historical Facts: First year Scribendi participated in UNM Undergraduate Research and Creativity Symposium. Historical Facts: First staff to have multiple Office Managers. 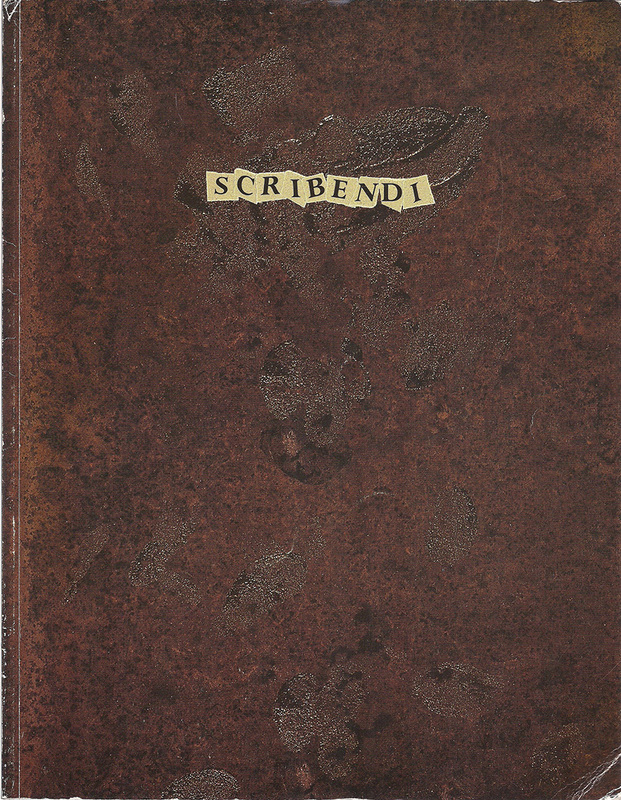 First year Scribendi’s cover featured embossing and a color other than white on the inside front and back covers. 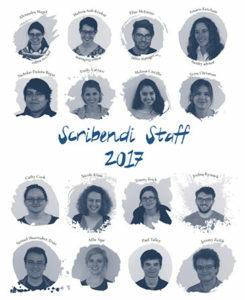 Historical Facts: Only year the Scribendi staff was composed completely of women students. 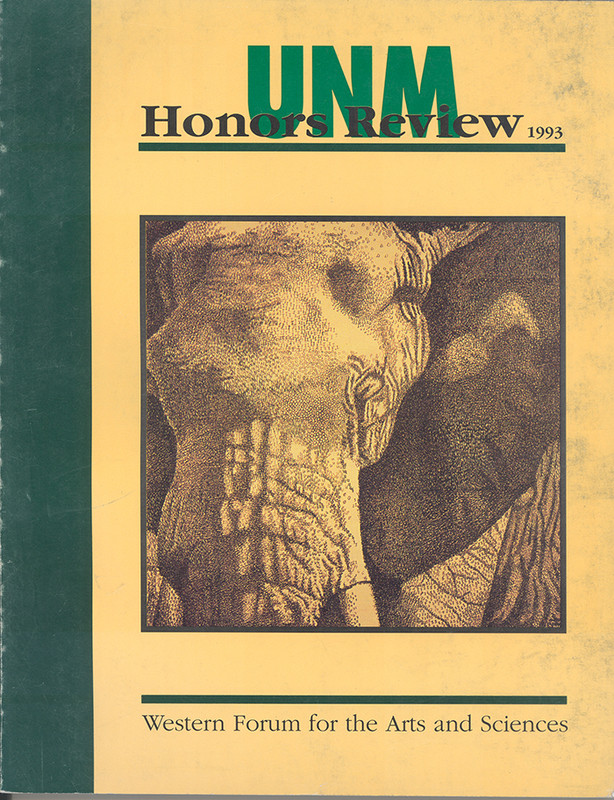 Historical Facts: First year the magazine was produced using QuarkXPress desktop publishing software; previously staff had used Adobe Pagemaker. 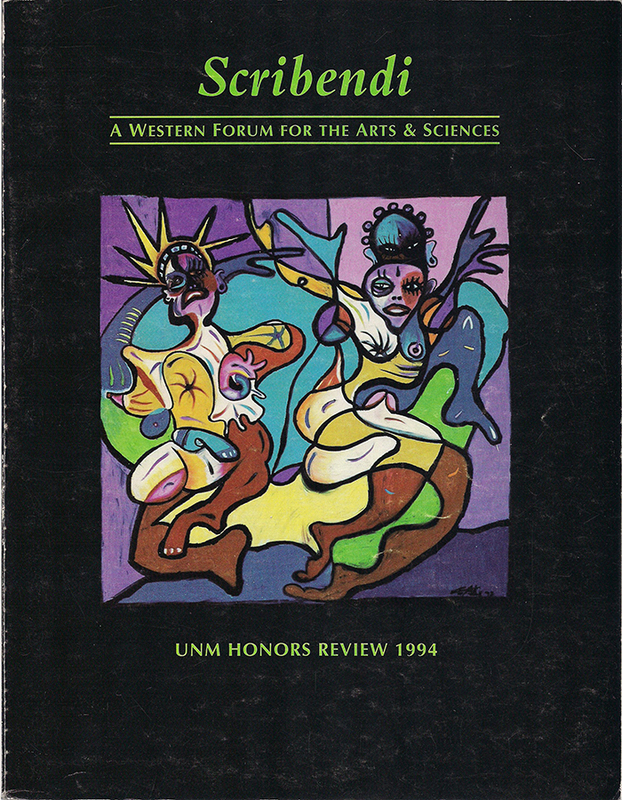 Historical Facts: First year the magazine’s cover was completely designed and produced by staff members, using Photoshop; first year Scribendi had its own office (Honors Center, SHC, Room 18); first and only year that the mother (Radhika Huddleston) of one of the staff members had work published in Scribendi. Historical Facts: The WRHC liaison project was begun this year; first year the entire staff attended the WRHC conference in Ogden, Utah (the staff and Dr. Donovan drove together in two vans to get to the conference); first year Scribendi was able to hire a part-time student Office Manager to handle administrative and clerical responsibilities. 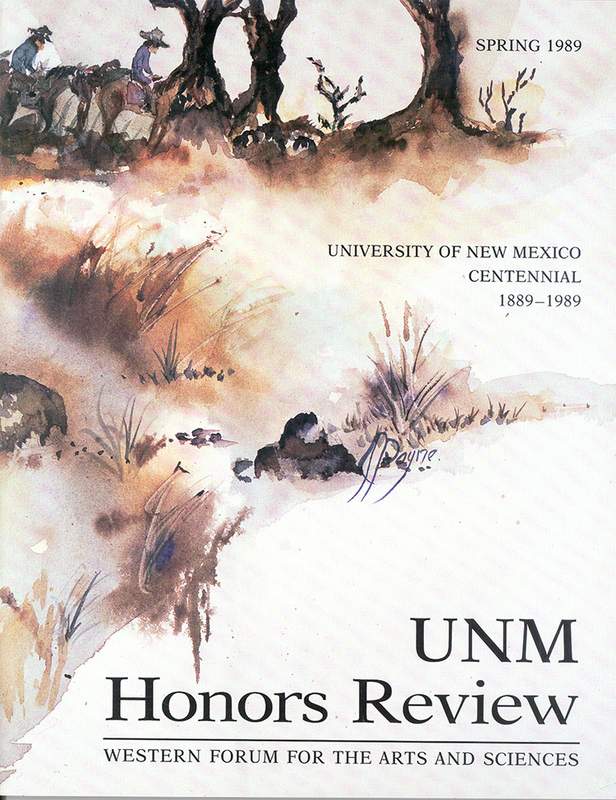 Historical Facts: First year that only part of a submission was reproduced for the cover; staff extended submissions to national level for this year only; submissions exceeded six hundred works. 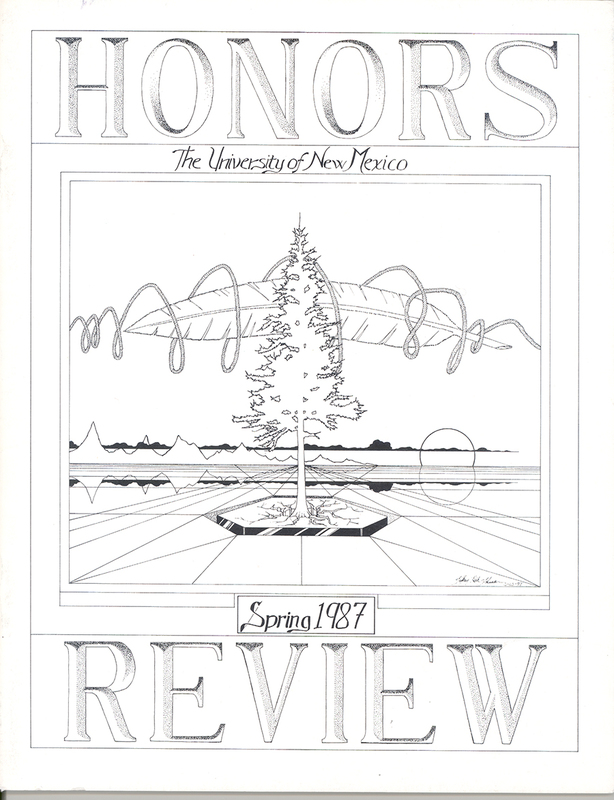 Historical Facts: First year Dr. Donovan was Faculty Advisor; first year staff did all graphic design and typesetting without professional assistance; first year the editor was also Senior Teacher for the class; with twenty members, this was the largest staff. 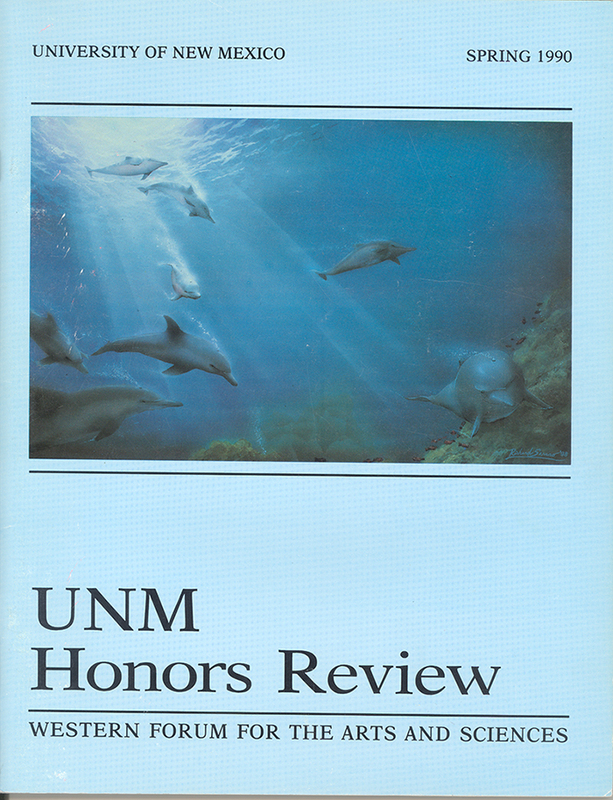 Historical Facts: Only year with a return editor; only year with Faculty Advisor Sharon Niederman. Historical Facts: V.B. Price’s last year as Faculty Advisor. Historical Facts: Second year with two editors. 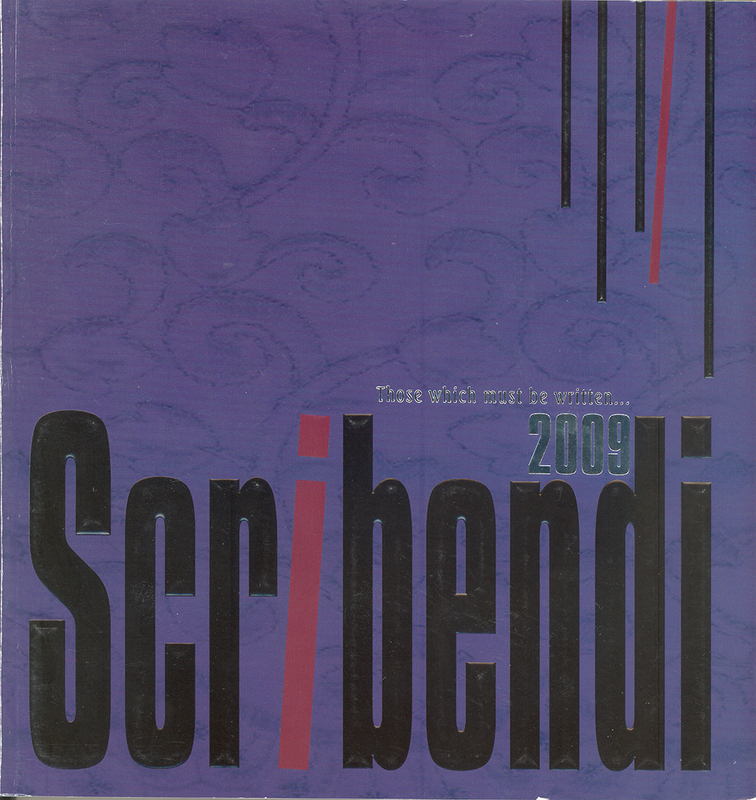 Historical Facts: First year the magazine was entitled Scribendi; first of two years with two Editors. 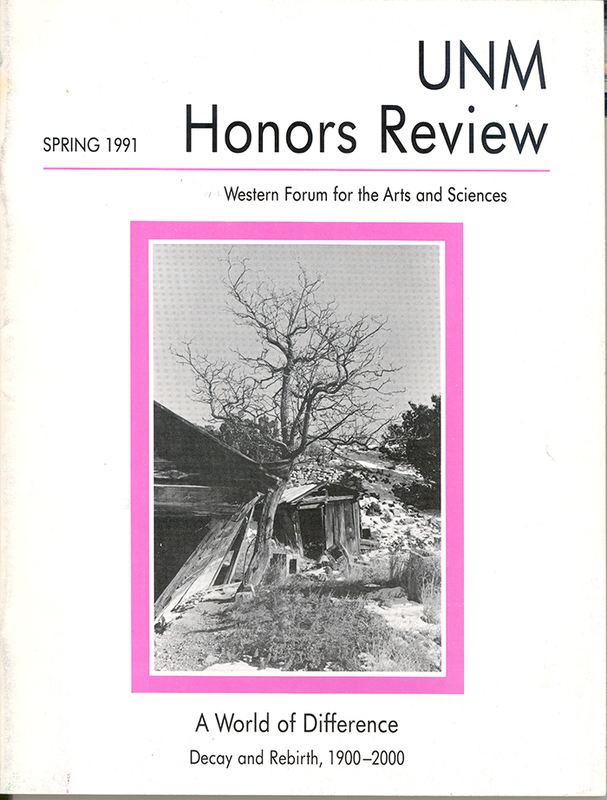 Historical Facts: First year magazine had “perfect binding”; this issue had six returning staff members, some of whom came back and were only staff – not editorial staff. Historical Facts: First year of Editorial Forum, where each staff member wrote a short answer to a list of questions that was published (lasted only two years). Historical Facts: First year for V.B. Price as sole Faculty Advisor. Historical Facts: Only year to have more than one Faculty Advisor. 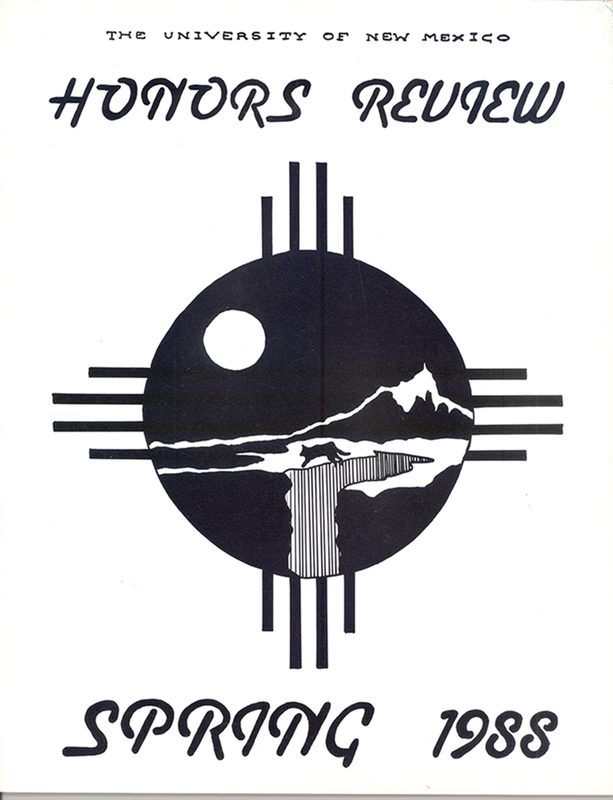 Historical Facts: UNM centennial edition (1889-1989); first year collaborating with the WRHC. 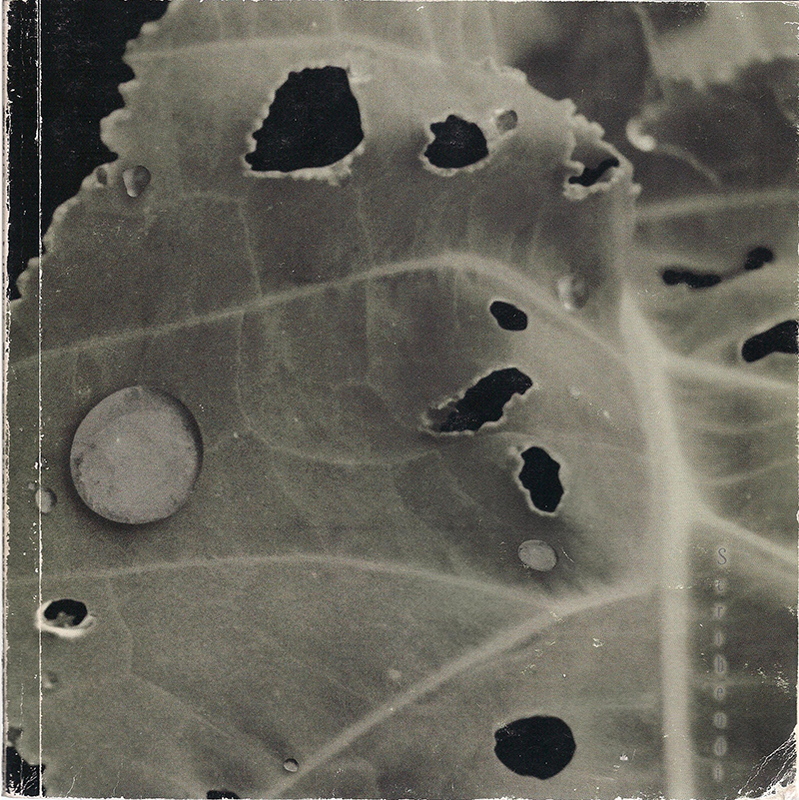 Historical Facts: Last year to have a black-and-white cover; last year not affiliated with WRHC.